Courtesy of Carpenter, REALTORS xAE;. Premier 20-acre equestrian facility! 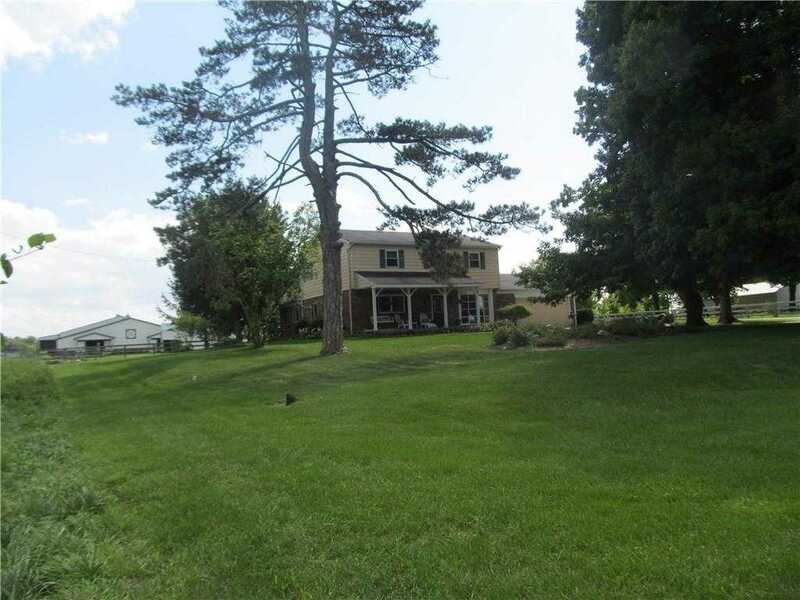 Conveniently located in Hamilton County near US 31, this spacious property features a remodeled 3 bedroom 2.5 bath home w/ hardwood floors, custom kitchen w/ granite, and 2 barns. The main barn was Amish-built in 2014, and boasts 18 stalls, 2 wash stalls w/ hot water, full bathroom, large tack room w/ heat/AC & commercial washer/dryer, & 1100 SF viewing area w/heat/AC and full kitchen that overlooks huge 82’x220′ indoor riding arena. New LED lights have recently been installed. The 2nd barn is 30’x40′ – perfect for large equipment storage. Property is fenced with oak, and includes an outdoor 140’x350′ riding arena, and is cross-fenced with 6 large pastures. There are 2 separate wells and septic systems. Please, send me more information on this property: MLS# 21547251 – $1,400,000 – 1955 East 226th Street, Cicero, IN 46034. I would like to schedule a private showing for this property: MLS# 21547251 – $1,400,000 – 1955 East 226th Street, Cicero, IN 46034.